Thousands of rescue workers from across the country are still experiencing respiratory illness, depression, and post traumatic stress disorder, and many of them may be at increased risk of developing cancers, particularly thyroid cancer, melanoma and lymphoma. 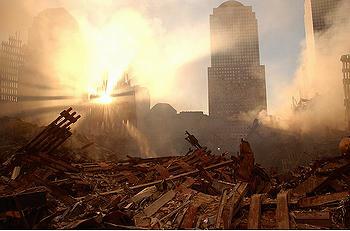 When two jet planes hijacked by terrorists struck the towers on the morning of September 11, 2001, killing 2,606 people, massive smoke plumes rose from the burning buildings and clouds of dust covered the area for weeks. Asbestos, cement, glass fibers and toxic chemicals from the ruined buildings created a mixture of environmental pollutants and carcinogens such as polycyclic aromatic hydrocarbons, dioxins and volatile organic compounds. Fires continued to burn for months, further exposing responders to toxic substances. To get all the facts about the environmental hazards to which first responders were exposed, Public Employees for Environmental Responsibility, a national association of employees at natural resource agencies, is demanding that the Obama administration resurrect the Ombudsman’s Office at the Environmental Protection Agency. The Ombudsman acted as a neutral party to resolve citizen and industry complaints about EPA’s performance. 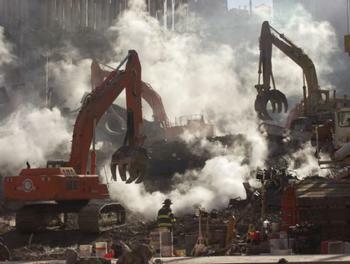 A review by the National Ombudsman in 2002 predicted these health effects among first responders and others in Lower Manhattan after it investigated the EPA’s response to the attacks. The EPA abolished its National Ombudsman in the middle of its investigation of charges that the EPA lied to the public and did not perform its duty to protect the public after the attacks. “With the Ombudsman abolished, the EPA is not accountable for malfeasance,” said PEER Senior Counsel Paula Dinerstein. Dinerstein is co-counsel with Regina Markey at the Washington, DC law firm Beins, Axelrod, PC in an ongoing environmental whistleblower action filed by former Ombudsman Chief Investigator Hugh Kaufman, which seeks to restore the office. “A viable Ombudsman function at the EPA is the only way to assure that the public can make EPA answer questions,” Dinerstein said. Five EPA press releases issued within 10 days of September 11, 2001 assured the public that the air was safe, prompting residents and office workers to return to Lower Manhattan. After those statements, under court protection against threats by Administrator Whitman to terminate his office, National Ombudsman Robert Martin held two hearings in Lower Manhattan to take testimony in response to charges that EPA’s 9/11 response was imprudent, and possibly dishonest. At a public hearing with scientists, residents, and small business owners in February 2002, Ombudsman Chief Investigator Kaufman directly accused the EPA and other government agencies of deliberately not testing the air quality around the World Trade Center properly and covering up the reasons why thorough tests were not conducted. “I believe EPA did not do that because they knew it would come up not safe and so they are involved in providing knowingly false information to the public about safety,” said Kaufman. EPA’s false assurances about the safety of outdoor and indoor air in Lower Manhattan insulated insurance companies from having to pay claims that arose out of exposure to toxins released by the destruction of the World Trade Center towers. After these findings, in April 2002, EPA prevailed in court and terminated the position of Ombudsman, locking Martin out of his office while he was testifying about the EPA response before the New York State Legislature. In 2003, EPA’s own Office of Inspector General confirmed the Ombudsman’s public pronouncements. The EPA Inspector General found that the Bush White House skewed EPA press releases and that “the desire to reopen Wall Street” factored into EPA statements. Chief Investigator Kaufman was placed in another job but he kept up his legal fight to restore the Ombudsman office through the Bush years. After the Obama administration came in, it continued to resist Kaufman’s legal action. The case is currently before the Department of Labor Administrative Review Board. A 2005 study of 2,812 residents living near the World Trade Center reported in the journal “Environmental Health Perspectives,” published by the National Institute of Environmental Health, found that coughing, wheezing, chest tightness and shortness of breath were reported in three to six times greater numbers among people living within one mile of Ground Zero than among those who lived at least five miles away. A New York Fire Department study issued last week found a higher incidence of cancers among the firefighters who responded at the World Trade Center than those who did not. 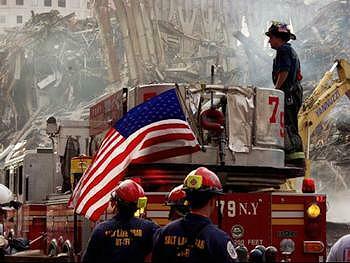 In January, President Barack Obama signed into law a bill to help provide for the medical needs of 9/11 recovery workers after Congressional Democrats overcame a Republican filibuster. The bill reopened the victim compensation fund, allowing up to $2.8 billion in payments, but it does not cover those with post-traumatic stress or those with cancer. On Wednesday, supporters of the sick first responders filed a formal petition to have cancer added to the list of covered illnesses.